As we age, there are certain inevitable problems we may encounter related to our bodies and overall health condition. It is quite likely, one of these issues will be arthritis. In fact, as many as 78 million US adults are projected to have doctor-diagnosed arthritis by 2040. The over 60s age group is most at risk of suffering from arthritis, however it can affect people of all ages. Development of arthritis in the hands is particularly troublesome. Already a degenerative condition which greatly impairs the daily life of millions, these negative factors and implications are amplified by arthritis of the hands. Since we use our hands on a constant basis, it is vitally important that we do all we can to slow down or help prevent the development of arthritis. To assist in doing that, we have to investigate arthritis on a deeper level. Many people confuse arthritis with being a single disease. Actually, arthritis is an informal way of referring to types of joint pain or joint disease. While the term “arthritis” is used as a catch-all, there are in fact more than 100 different types of arthritis and related conditions. The most common of these are osteoarthritis and rheumatoid arthritis. In the simplest of terms, arthritis is the inflammation of one or more joints in the body. Arthritis may present a number of symptoms such as pain and swelling from the early stages. Presenting as a dull or burning sensation, the pain can arrive especially after periods of prolonged joint use. Firmly holding or clenching an item may be a frequent trigger for arthritis pain. This pain tends to become longer lasting and more frequent with age, as the cartilage around the joints becomes more worn down over time. Advancing age is one of the key factors contributing to the development of osteoarthritis. Grinding of joints is another symptom which may present at later stages. This is due to the rubbing of damaged cartilage surfaces in the joint. Changes in surrounding joints may also be noticed at an advanced stage. A feeling of warmth in the affected joint due to inflammation, increased size or feeling of looseness are other symptoms which can be noted at varying stages of arthritic development. Although there are many different types of arthritis, the two most prevalent in arthritis of the hands are osteoarthritis and rheumatoid arthritis. They are both fundamentally different in how they occur and present themselves. This can be otherwise known as “wear and tear” arthritis. It is a progressive joint disease which generally worsens and becomes more prevalent as we age. With this condition, the articular cartilage of the bones is gradually worn away over time. This cartilage helps bones to move smoothly against one another. With the wearing down of this cartilage, joint movement becomes more difficult and painful, with the bones now increasingly grinding against each other in the absence of healthy cartilage. The nature of the disease means that it gradually worsens over time. Key elements which can both contribute to and accelerate the progression of osteoarthritis include obesity, prior injury to the joint, intensive abuse through strenuous activity over a number of years or a family history of the disease. At present, around one in four people suffer from some form of arthritis. Shaquille O’Neal stands out as a famous sufferer of osteoarthritis, having been plagued by the condition for more than a decade. His huge frame likely to have put great pressure on his joints which in turn lead to the development of the condition. Oppositely to osteoarthritis, rheumatoid arthritis is a chronic condition which is not caused by the wear and tear of the joints. Instead, rheumatoid arthritis can occur when the body’s genes are triggered by some external or other environmental factors. This in turn leads the immune system to attack the joints. These attacks result in cartilage erosion as well as ligament change and the development of rheumatoid arthritis. A recent study shows that the prevalence of rheumatoid arthritis is increasing and that there are currently upward of 5 million sufferers of the disease worldwide. It is one of the most common autoimmune diseases in the world. 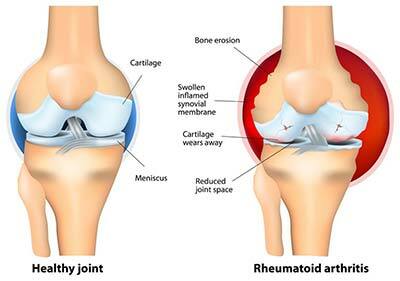 A joint with rheumatoid arthritis presents with damaged and inflamed tissue lining, this can cause long-term pain and often occur in several joints of the body, sometimes progressing to become a debilitating disease. There are a number of things which put us at risk of developing arthritis. In the broadest sense, these causes are likely to originate either from disease, such as rheumatoid or osteoarthritis or from a traumatic injury which damages the joint leading to a degenerative arthritis. This may be the case in terms of many sports people such Phil Mickelson. Taking a deeper look at the individual sub-types of arthritis, we can see that in terms of osteoarthritis in the hands, lifestyle choices and bodily composition play a major role. It has been shown that obesity leads to joint overloading, this in turn increases the risk of osteoarthritis. Although the exact causes of many types of arthritis cannot be pinpointed. Occupational factors can also be observed as increasing the risk of disease development. Sports such as golf, tennis and basketball as well as occupations like hairdressing and even office based work can produce working environments which place a lot of pressure on the hand and finger joints. This pressure often originates from repetitive hand movements. As shown in this study, repetitive hand and wrist motions can result in an increase rate of injury. Researchers suspect that there could also be a genetic link to the development of hand arthritis. It was shown that individuals possessing a certain genetic make-up, displayed an increased susceptibility to developing arthritis of the hands. However, the case is not strong enough for genetic testing to be recommended. According to statistics, there is a much higher rate of hand arthritis evident in women. This is true at all ages, though the gap further increases with advancing age. Aging in itself, while not a direct cause, can also be a heavily influential factor in the development of hand arthritis. Hand trauma such as sporting injuries sustained or bone fractures, particularly those which damage the joint surface are much more likely to develop into arthritic conditions, sometimes years in the future. This can be the case, even when the injuries have been correctly treated and fully healed at the time. This can be viewed in the case of Tiger Woods whom is believed to suffer post injury arthritic pain, albeit of the knee. This should serve as both indicator and warning that we need to manage our activities and lifestyle carefully over our lifetime to ensure the best possible health in advancing age. The development of arthritis at any ages presents us with a very challenging situation, though it need not become a lifelong hardship. Though complete healing is medically unheard of, we have many options available to help manage arthritis to ensure we continue to live a very regular daily life. Treatments to manage and slow down arthritic advancement are more effective today than ever before. These include a variety of easy to perform hand exercises which can help to reduce pain and promote joint flexibility. Starting with an outstretched and open palm, bend your thumb in toward the palm of your hand and hold the position for five seconds. Repeat this action with each of your fingers on both hands, bending them down toward the palm and holding the position before release. Much as you would do to relieve the pain of carpal tunnel syndrome, holding your arm outstretched with palm facing down and away, use your other hand to push the palm towards yourself to a maximum stretching point. Hold this position for 10 seconds before switching hands. Continue to repeat the same exercise with your palm facing away from you and other hand stretching the palm back. Placing your hand flat on a table or other surface, slowly raise each finger, one at a time. Hold the elevated position for a second before lowering the finger. Repeat this process with both hands. Other hand exercises such as making a fist or an O shape between your thumb and each finger can help to release tension in the fingers and hands. This ultimately helps to sooth the pain of hand arthritis and keep the joints moving. It is essential for arthritis sufferers to keep the joints moving. Doing this helps to slow down the progression of the disease over time. Bathing the affected joints in warm water prior to exercise can also help to minimize pain. 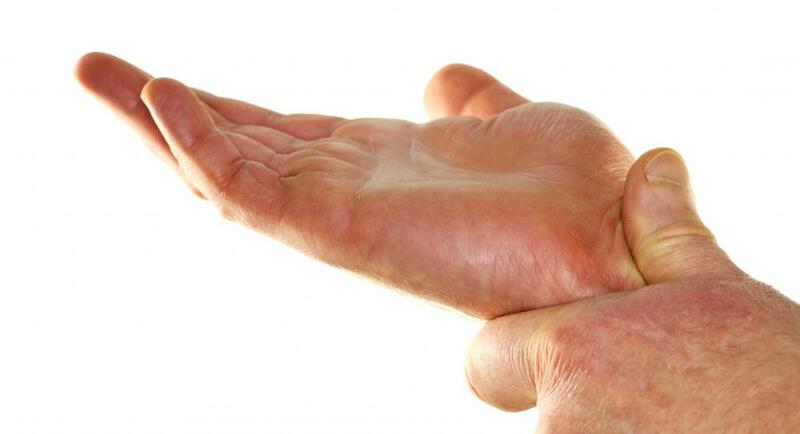 There are many other treatment options available to help with slowing down hand arthritis. These can be either non-surgical or surgical in nature. There are various non-surgical options available in the treatment of arthritis. These options can have a big positive impact on the daily lives of patients, especially the elderly, helping to increase movement and joint activity whilst reducing pain. These of course do not actually repair any joint or cartilage damage, they can however greatly help to manage arthritic conditions. Non-surgical treatments include anti-inflammatory injections, helping to reduce joint inflammation and increase movement. Medications such as ibuprofen can also prove a reliable assistant when trying to reduce joint pain and inflammation. Splinting is another option in terms of non-surgical methods. Often it is used in combination with either medications or injections to help support and stabilize the affected joint. These splints can be worn with minimal discomfort and without greatly impeding daily activity. Lastly, for more chronic cases of arthritis, some people find that compressive arthritis gloves help with their symptoms. While they don't really do anything to actually treat the condition, the fact that they are capable of providing some pain and stiffness relief will certainly be welcomed by those who need it. Failing the success of non-surgical treatments, there are surgical options available. These can help to provide long term pain relief and restoration of joint function to some degree. When the joint can be preserved and function improved, procedures such as an arthroscopy are recommendable. During this procedure, specialized instruments are used along with a camera, to fix joint tears and damaged cartilage. This often results in immediate pain relief and improved joint movement. In the cases that the disease has reached an advanced stage and joint damage is pronounced. Fusion or total joint replacement may be recommended. Both are intensive procedures with a prolonged recovery time and should only be undertaken by those for whom other alternatives have been exhausted, though they are proven to be highly safe and successful in many cases. It is quite clear from our research, arthritis remains an elusive disease. It is a condition which has many variants and negatively impacts vast swathes of society, yet, we do not have a concrete solution to prevent it. Like many other conditions, we can only do our best to live in a way which promotes positive health and wellbeing. For those who suffer from arthritic conditions, particularly of the hands, the conclusion is overwhelmingly positive in that, there are a wide variety of exercises and treatment options available to help manage and slow the progression of the disease, ensuring people can live largely full and unaffected lives alongside arthritis.